Maruti Suzuki has announced that the 2019 Baleno can now be booked at any Nexa dealership across India. With an initial payment of ₹11,000, one can pre-book this new facelift hatchback. India’s number one car manufacturer has also released a teaser image of their premium hatchback. Ever since its launch in 2016, this will be the Baleno’s first major update. The new Baleno offers a lot more of road presence and attitude as compared to the current model, which is mainly due to the aggressive looking front bumper and the new front grille. This will certainly attract many young potential buyers. The 2019 Baleno is also expected to sport a new alloy wheel design and of course, refreshed interiors. The major upgrades that the new Baleno boasts of are newly added safety features like speed alert system, co-driver seat belt reminder and rear parking assist sensors. Baleno continues to offer dual airbags, child seat restrain system (ISOFIX), pre-tensioner and force limiter seat belts and ABS with EBD as a standard feature. Coming to the engine displacements, the 2019 Baleno will retain both the 83bhp 1.2-litre petrol and the 74bhp 1.3-litre Multijet diesel engine. There is also no change in the transmission option. The petrol will come in two options, a 5-speed manual and CVT, while diesel will only be available with a 5-speed manual gearbox. 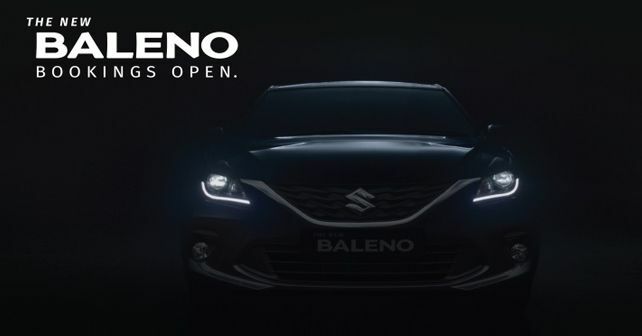 With the bookings already open, the Baleno will be hitting the showrooms soon.